Conventional games consoles are great, but if you’re looking for all-out power and ‘customisability’, a desktop PC should be top of your list. From day one, you have the chance to modify and upgrade to your heart’s content, creating something that is truly unique. Some ‘modders’- as they’re known – add a bit of extra RAM, or introduce a solid-state drive to speed things up. Others have much bigger ideas, though. 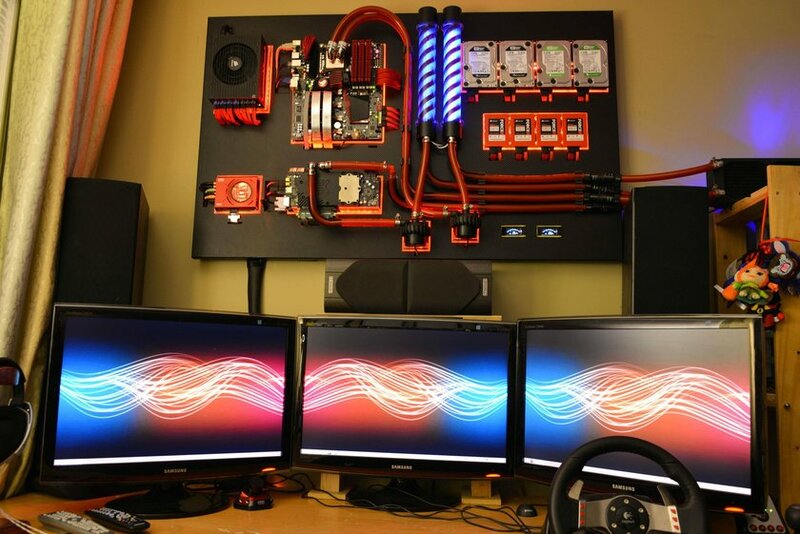 Below are some of the craziest and most brilliant custom desktop PCs we’ve seen. Not only is wall-mounting a great way to save valuable space in the study, it can look fantastic. This is one of the best examples, submitted to Reddit by user ‘GoodAtIt’. It’s more than just a pretty face as well, if you couldn’t tell already. In addition to an Intel Core i7 950 processor, it boasts 12GB of Corsair Dominator RAM and four 120GB Corsair Force GT SSDs. Oh, and those pipes you see are part of an extensive and effective water-cooling system. The total cost, according to its owner, was around $4,000. More images can be found here. This one might be a little baffling at first, resembling a bog-standard desktop PC on an even more bog-standard desk. It is, however, the ultimate flying simulator set-up. Dubbed the ‘Flying Coffin’, it was created by imgur.com user ‘recoilfx’, whose goal was to build a fully functional flight simulator that didn’t affect the room’s tidy appearance. 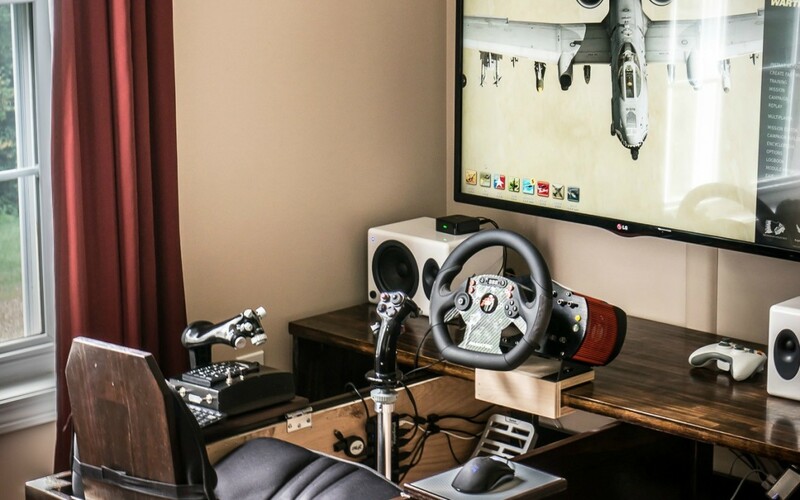 At first, the setup was self-contained, but the owner quickly realised he wanted a bigger screen and added a full-on desk, complete with steering wheel. More images can be found here. Desk-integrated PCs have grown quickly in popularity over the past couple of years, and many go further than simply stowing equipment away underneath. The Netherlands’ Peter Brands is one of the modding community’s biggest names, and a quick look at the desked machine below will tell you why. L3p D3sk, as it has been named, looks stunning, and it’s pretty capable too. An Intel Core i7 5960x (4.5 GHz) processor is complemented by 400GB of solid-state memory, an extra 4TB of extra storage and a host of top-end Corsair graphics and audio hardware. Brands’ machine is one of a kind, but it did inspire Red Harbinger to offer a purchasable case. None of the machines listed so far have been built on limited space; if anything, their makers have had more room than normal to work with. 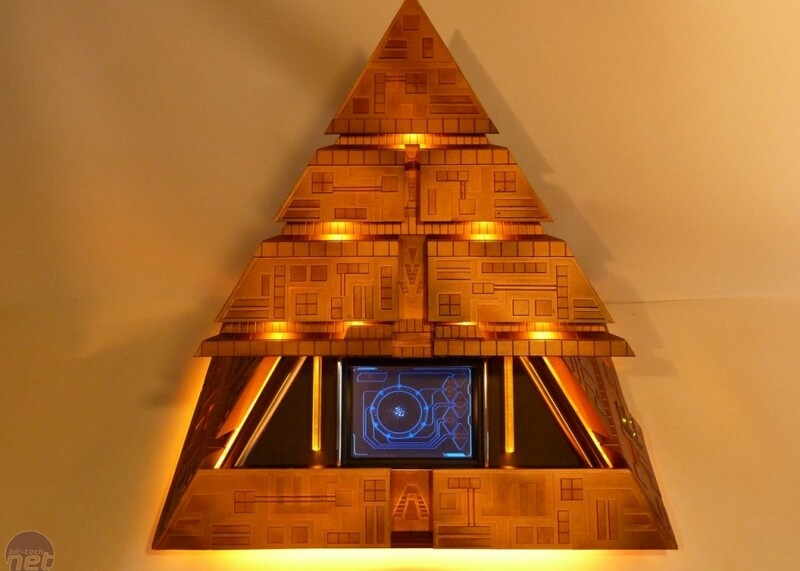 The same can’t be said for Pyramid, which was built between 2007 and 2009 by another Dutch modder, Henk Hamers. Inspired by sci-fi classic StarGate, Hamers (known online as ‘Gup’) set about squeezing everything into the unconventionally shaped casing, before creating a motorised motion that unveils a five-inch LCD screen. His work won him a place in bit-tech’s ‘Mod of the Year’ list in 2009. 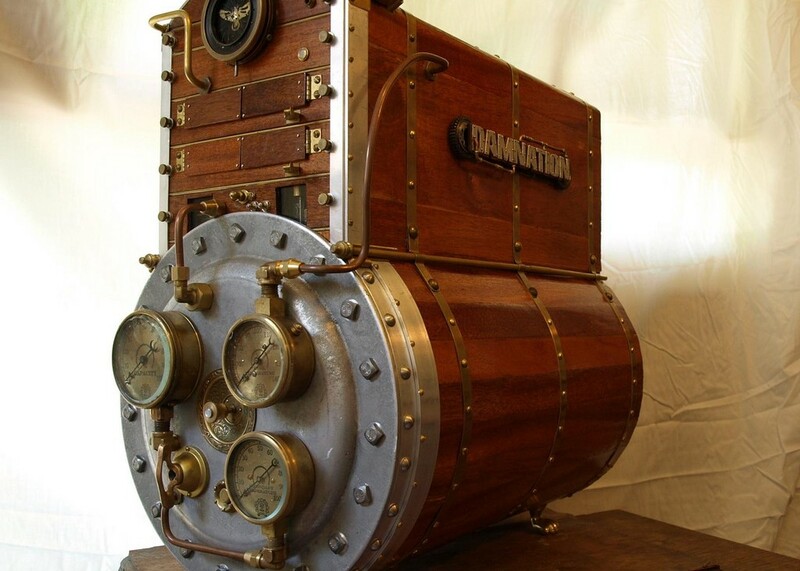 Steampunk is a popular theme in the modding community, and there are hundreds upon hundreds of examples online. Few look quite as impressive as the Telecalculograph, Mk. II, though. Created by artist Jake Hildebrandt to mark the release of steampunk shooter game Damnation, it follows the original Telecalculograph, and has some impressive specs. Alongside an Intel Core i7 965 processor, you’ll find 12GB of RAM and a terabyte of hard drive space – all enough to handle most desktop PC users’ demands. According to Destructoid.com, the machine was worth in excess of £5,000. That said, it was given away for free to one very lucky gamer as part of a competition. The modding community is one that possesses a lot of skill and even more imagination, and as the examples above prove, it’s possible to create something truly unique. 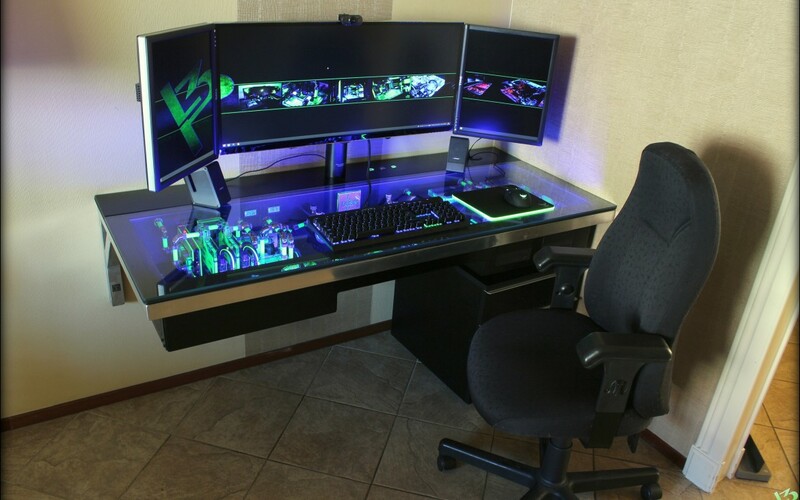 With the time, money and creativity, the possibilities for pimping your desktop PC really are endless.